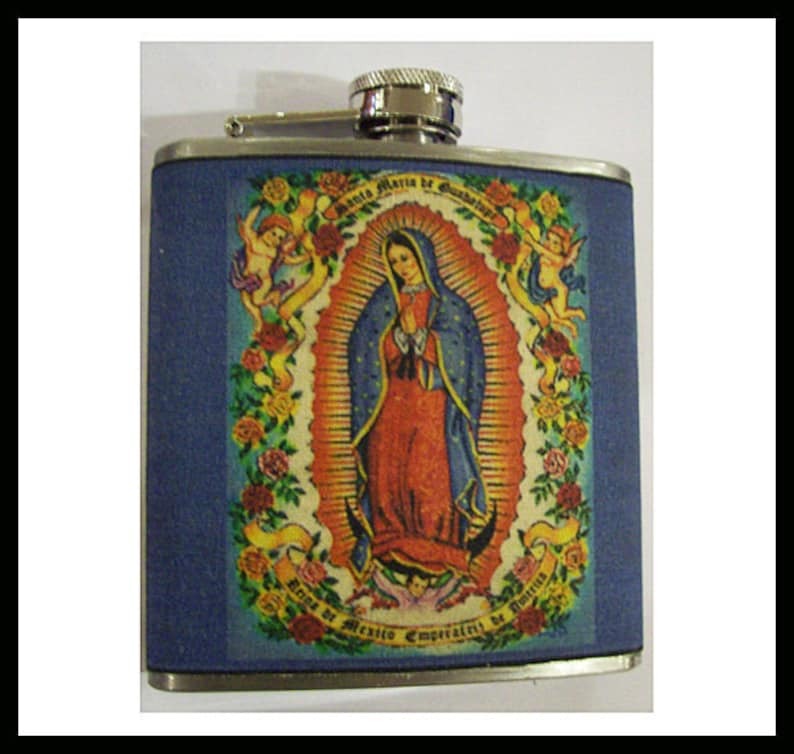 Bring a religious saint kitsch to your routine with this fab 6 OZ stainless steel flask displaying two different vintage images of the wonderful Virgin of Guadalupe. A little retro Mexico folk is a wonderful thing. I do make these to order so it will be a few days after purchase before I can ship. you can pick out any two images for a flask or have the same one on both sides. pin up girls, Loteria cards, firecracker labels and more. The fourth picture shows some examples of other possible creations. Love this! The packaging was unique and the product was well made.